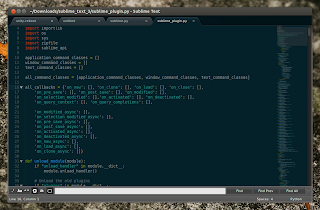 Sublime Text is probably among the best text/code editors available for Linux, and it's cross-platform so it works on Windows and Mac OS X too. Sublime Text 2 stable was released about 7 months ago and since then, its developer has been working on a new version: Sublime Text 3. Even though Sublime Text is not free, up until now, users could evaluate it for an unlimited period of time which basically meant you didn't really had to buy it unless you wanted to support the developer. However, the latest Sublime Text 3 beta can only be used if you've purchased a license (USD $70, pretty expensive I'd say), but the old evaluation model might be used later on. Starting with the latest Sublime Text 3 beta builds, the application now uses Python 3.3 for the plugins and also, it runs them out of process so they can't crash the main Sublime Text process anymore. Also, the new version comes with new features such as Goto Definition and Goto Symbol, speed improvements, improved pane management, symbol indexing and many other changes about which you can read HERE. But this is not all, since Sublime Text 3 is currently in beta, it should improve quite a lot until the final release - if you've used the alpha and beta Sublime Text 2 builds, you're probably aware of how fast new builds are released. I maintain a Sublime Text 2 PPA but I won't be uploading any Sublime Text 3 builds yet, given that it can't be evaluated for an unlimited period of time (for free) any more. However, the there are now official deb packages available for download so you can easily install the latest Sublime Text 3 beta in Ubuntu, Linux Mint and other Debian-based Linux distributions. If you haven't tried Sublime Text before, I suggest you give version 2 a try, you'll find it HERE (and in our Sublime Text PPA). 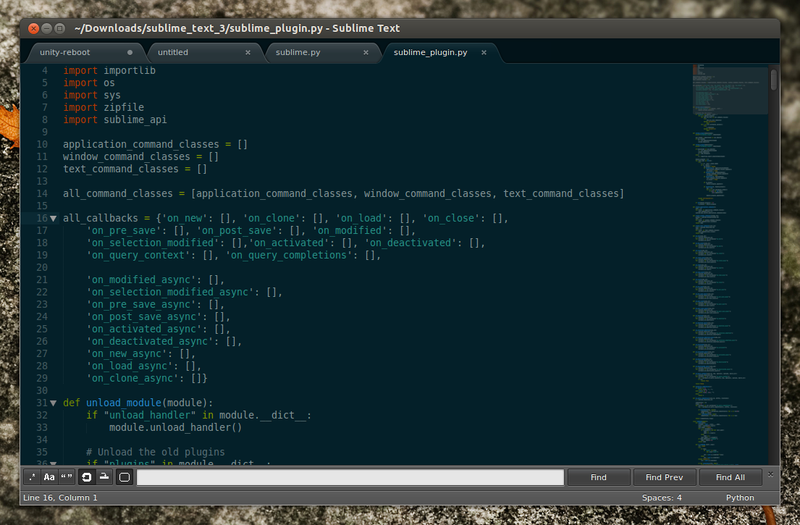 Also see: Sublime Package Control - a tool to easily install plugins; it's like apt, but for Sublime Text.